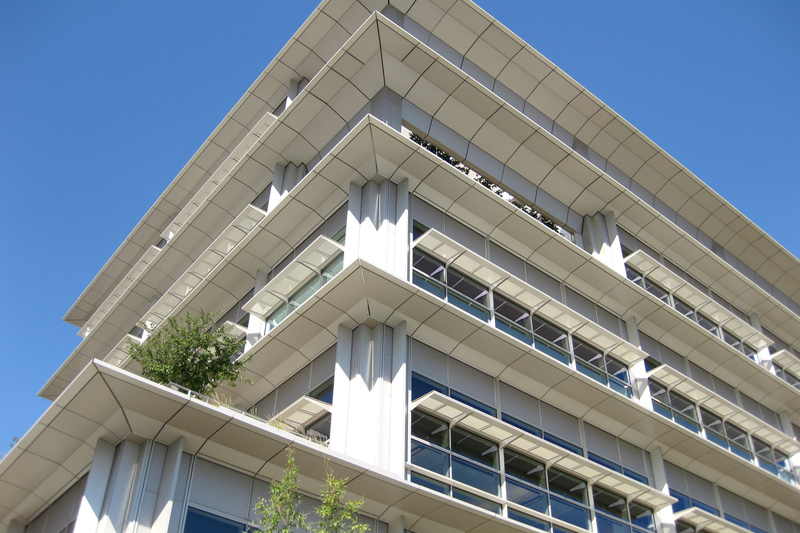 Sunshades, light shelves, and planters increase energy efficiency and reduce solar heat gain for CalPERS. 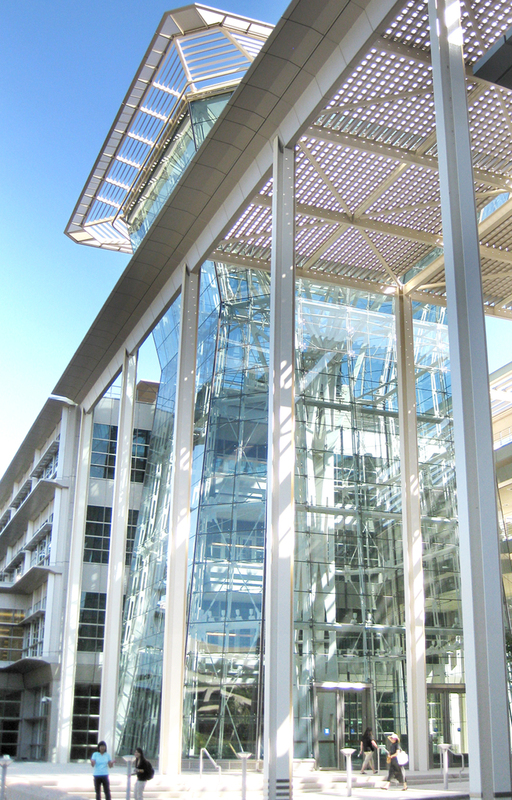 The CalPERS building is a highly innovative, mixed-use complex including office and retail space. 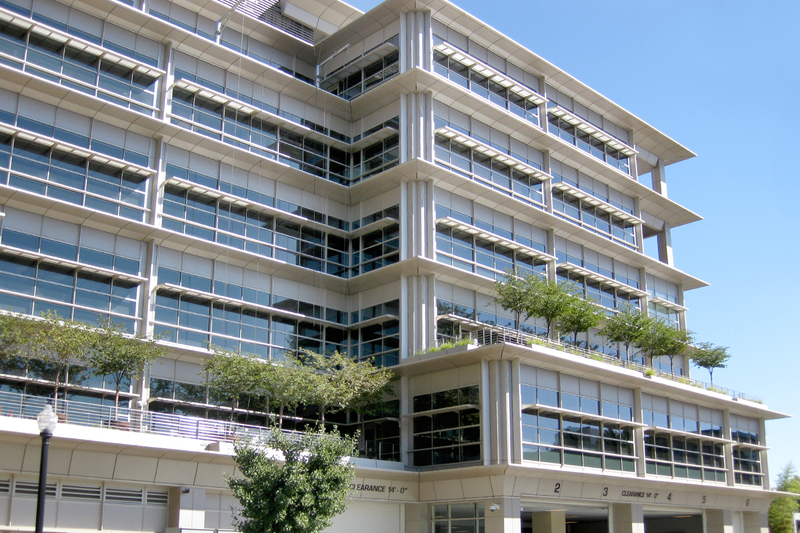 Comprised of one 7-story and one 4-story building connected by a sky bridge, the sprawling development inhabits two contiguous blocks in downtown Sacramento. 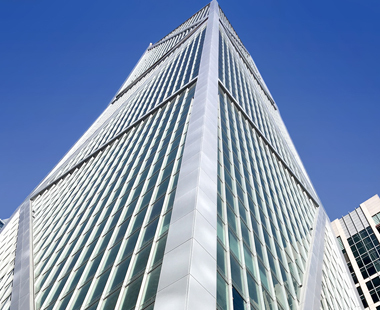 The complex received a LEED Gold rating for new building construction, in 2005. 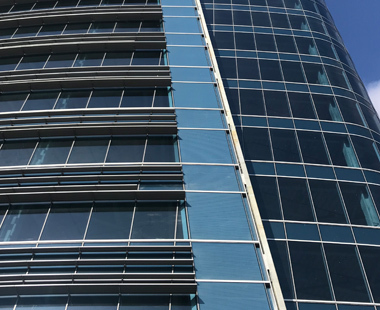 The curtain wall plays a major role in the project’s overall energy efficiency, utilizing an innovative set of features including sunshades, light shelves, and planters. 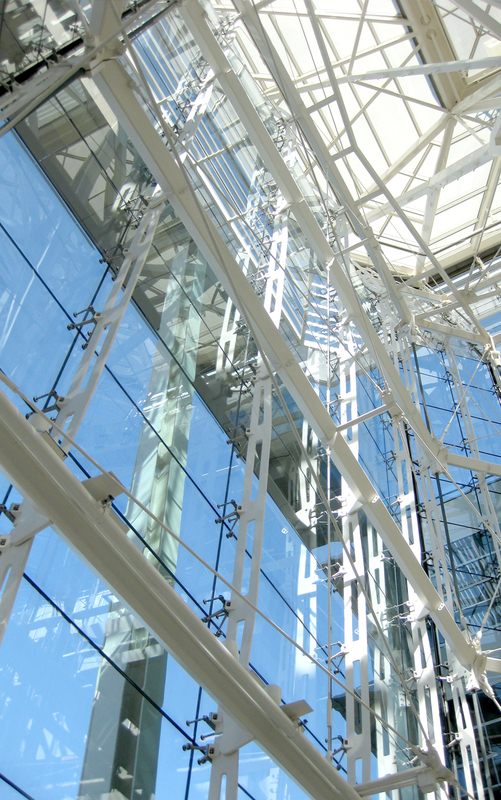 The translucent facade lets natural light in while the premium low-e glass helps reduce solar heat gain. 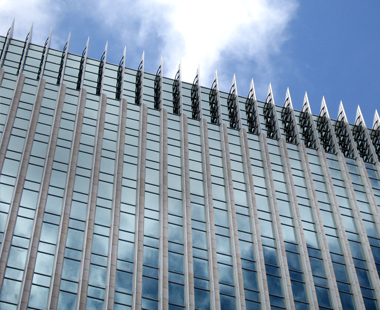 Canopies and trellises are integrated into the wall, blending interior and exterior spaces.